In last Monday’s blog, I talked about the changing seasons. Winter gives way to spring, spring to summer; summer to fall and then we’re back to winter again. There’s something comforting in the constancy of seasonal changes. We accept the change is coming, and we welcome each season for what it offers. Why then do we perceive the small and major life changes we face with stress and fear and worry? Life is not static, but a flow of change, never staying the same. It’s messy, chaotic, painful, sad, dirty …, and never perfect. Bad things happen. So do good things. The sad truth is we cannot control every aspect of our lives. We accept seasonal changes. We should also accept changes in life. Unfortunately, instead of accepting change we react with anger, frustration, and stress. We allow change to steal our peacefulness. 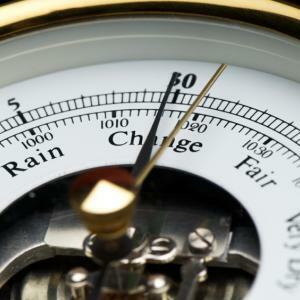 Let me propose three ways to handle change. Laugh – Laugh even when whatever change has thrown your way is not funny. You’ll find a certain amount of detachment which can lead to acceptance. Breathe – When things change and anger or frustration seeps in, take a deep breath. Breathing allows you to calm down and think more rationally. Pray or Meditate – Try the Serenity Prayer, attributed to theologian Reinhold Niebuhr and adopted by Alcoholics Anonymous. 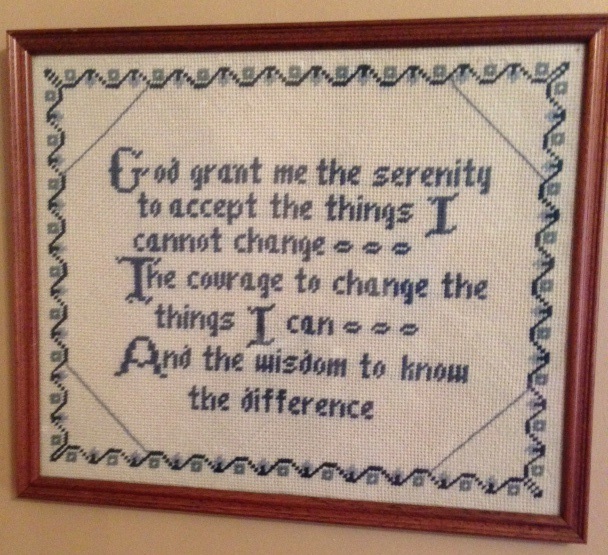 This counted cross-stitch of The Serenity Prayer hangs in my office. Whenever the winds of change blow my way, I find reading those words helps. No matter what happens in your world today, smile, breathe, and accept whatever change may bring.